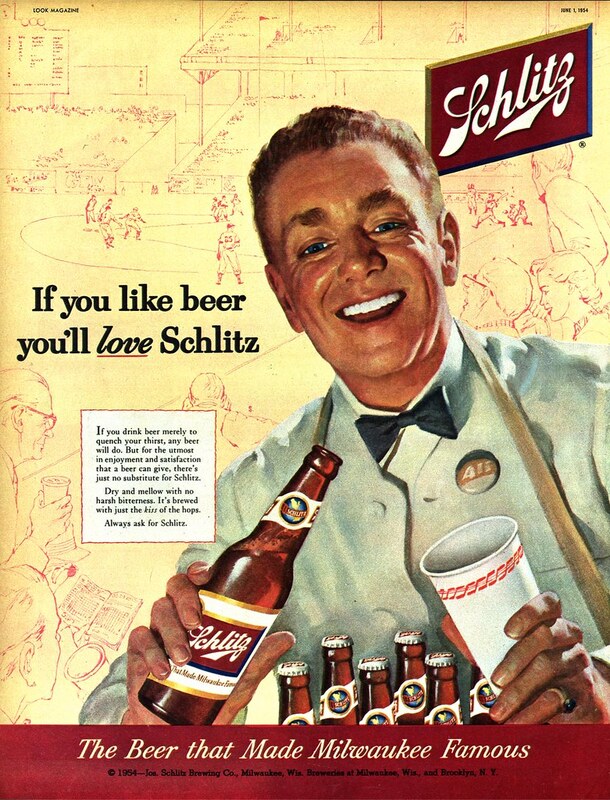 I've had an educated guess by one well-informed TI list member that this series of Schlitz ads from 1954 might have been painted by Joyce Ballantyne. 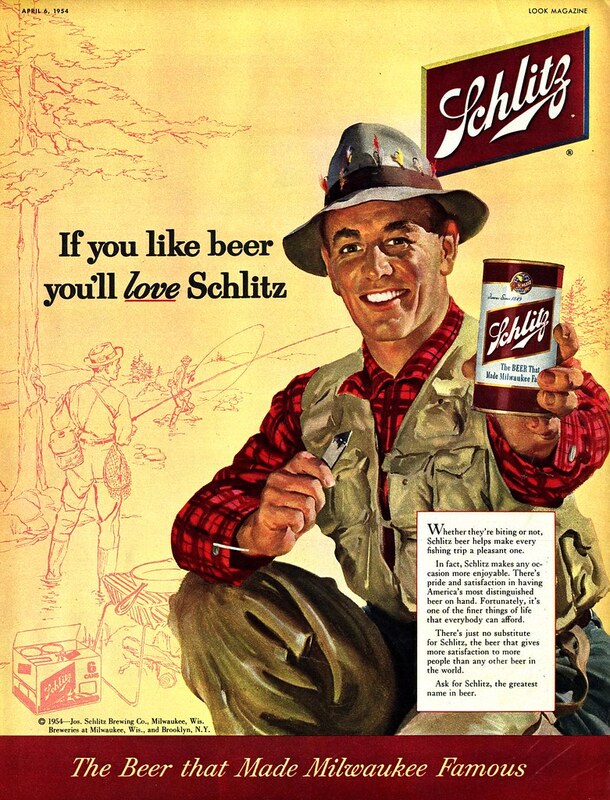 That clue quickly led me to this entertaining article that confirms Ballentyne's having painted ads for Schlitz. 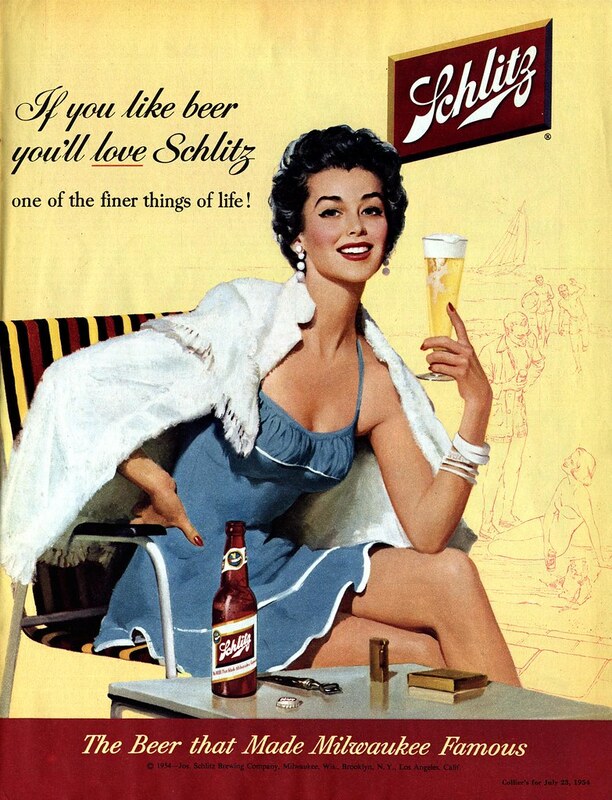 She even used her second husband as a model in one piece. Who knows, he might be one of the gentlemen below. 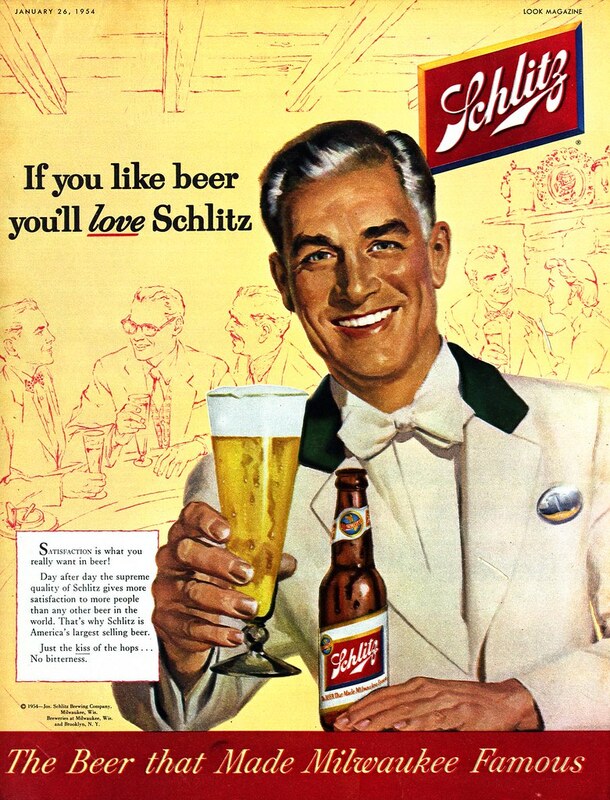 You'll find all these ads at full size in my Beverages Flickr set.